Boy, it’s a tough time to be in PR. First, the web (and particularly social media) has upended what the industry has done for more than 50 years, leaving us to scramble and fight for social, content, crisis, reputation management, influencer relations—and even earned media. Then the Holmes Report began to look at the industry and what it’s lacking in terms of creativity, big ideas, resourcing, and creative talent. 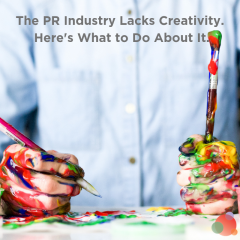 Creativity in PR surveys PR professionals to discover whether or not the industry is creative enough to successfully sway marketing budgets and develop game-changing ideas on a consistent basis. I do feel we are not taking ownership of the fact that we have always been an ‘ideas’ industry—and are absolutely capable of breakthrough creative thinking. Too many people in the field seem to be silo-ed in terms of what they feel they are allowed to do—versus advertising agencies that seem to approach their business as if they can take ownership of anything, and any discipline, they want. 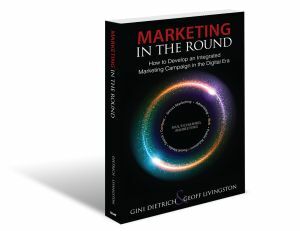 Never mind that someone co-authored a book called Marketing in the Round in 2012. 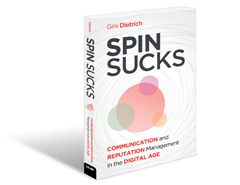 And that said book was to help the industry figure out how to break down those silos and how to take control of their own destinies when it comes to competing with advertising, marketing, search, web, and mobile. I mean, outside of that, we have more than a silo problem. We have a perception problem, which is awfully ironic for an industry that works in a perception business. Though we certainly belong at the executive table, it’s not going to happen as long as there is the perception that we can’t measure our efforts to true business results, we’re not creative, and we’re not big thinkers. There are PR metrics we need to track to measure our efforts to business goals. Combined with excelling at that, we need to prove our creative worth. Some of you may have already heard this story (cough, Ken Jacobs) so bear with me (and skip ahead to the next section). When I worked on The Catfish Institute (don’t laugh; it was super fun! ), our goal was to get catfish on the menu of white tablecloth restaurants. You see, catfish are bottom feeders, which means they eat whatever’s at the bottom of the water…and that’s not always very good. Because of that, the only way to get the gross taste out of them was to fry them. But when farm-raised, catfish not only eat from the top of the pond, they are a lovely white fish that take on the flavors in which they are prepared, making them fairly versatile for chefs. To raise awareness and reach our goal, we invited up-and-coming chefs to participate in a cooking contest using, you guessed it, catfish. In the middle of a catfish farm in Mississippi, where the closet grocery store was 35 miles away and was a Walmart, to boot, we hosted the contest. It was Iron Chef before Iron Chef existed. Not only was it super fun work to do, we reached our goals. And then some. All because it was creative, it was fun, it was measurement-bound, and it had a clear vision. Every year, I judge award entries industry organizations. I know creativity is out there, but it seems to be only among the clients with big budgets. Most of you claim you went into PR because you hate math. Which means most of you are right-brained by nature. It comes naturally to us, yet 60 percent of our clients are disappointed in our lack of creativity. 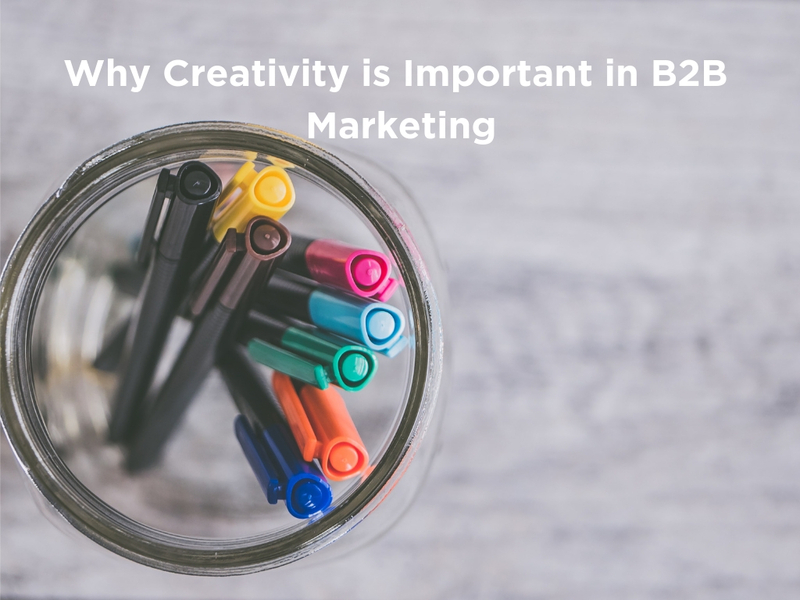 You don’t have to have big budgets or celebrity chefs or even a year-long campaign to be creative. But you do have to look for inspiration everywhere. Yesterday, I saw a tweet stream from one Clue Heywood. He has taken every professional image of the Peloton ever published and added captions to them. It’s hilarious and highly creative. That cost him absolutely nothing. Maybe a few hours of his time, but it’s the kind of thing that’s worth every second of your time to create. Sure, it’s not something that he can sell to clients, but it DOES show how creative he is and will attract the right clients or job offers. Do like Clue and pay attention to what’s happening around you. Read blog posts and fiction and the news. Listen to podcasts and watch livestreams and videos. Put your phone away when with friends and family and listen to what’s happening in their lives. Use creative prompts, like the Hemingway Deck, to get the juices flowing. 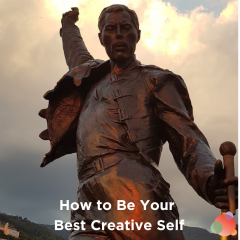 Be more creative in your thinking about being creative. The PESO Model will also help you with this. Think creatively about other media types to include in your communications program—and how to integrate them all. 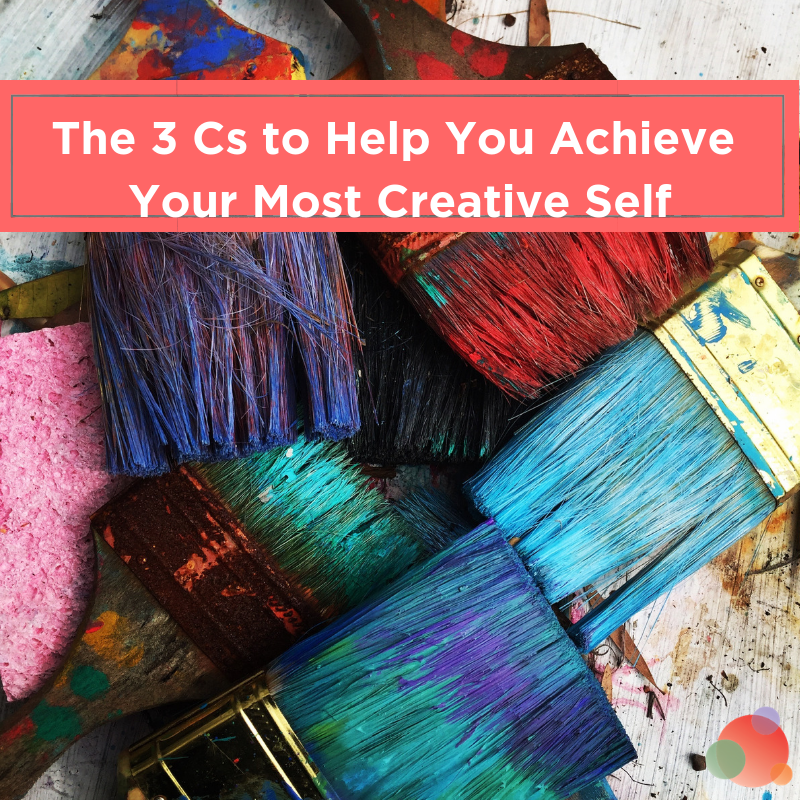 You don’t have to do it all yourself, especially if you’re a small team or a solopreneur, but you do need to think creatively about how you might be able to incorporate it all. 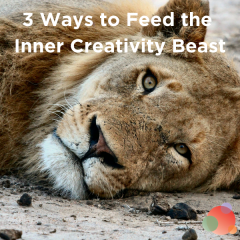 LOTS of ways to get your creative juices flowing. We can, once and for all, beat this ugly perception and prove we are as creative (if not more) as our marketing brethren.